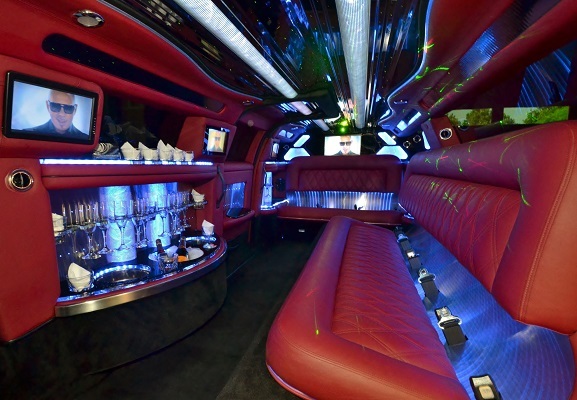 With us, you can hire a luxury limo that is complete with the latest features, including a fully contained wet bar, 4 Flat screen TVS, DVD, CD player with surround sound system, disco floor and ceiling, strobe and laser lights, air conditioning, 20″ wheels and more! Our limousines also come with a jet door for easier access. To provide a memorable experience for our passengers, we provide ice, water, soft drinks, champagne and nibbles in our limousine service in Melbourne. Our vehicles come with bridal ribbons, tyre covers, umbrellas and the red carpet. Who wants to make that unforgettable entrance to your big event? As the guest of honor enjoy your birthday from beginning to end with a few of your closest friends arriving in a luxury Melbourne limo. Make your romantic night one to really remember – forget the traffic and travel to your romantic destination in style. Forget ruining your night trying to find parking in the city! Continue the party after the concert with our Melbourne Concert pick up service.